Almost 2,000 migrant children were separated from their families at the US border over six weeks, officials say. Following a Trump administration crackdown on illegal border crossings from Mexico, adults are being detained, meaning the children with them are removed from their care. The issue is causing a growing political storm in the US. On Thursday Attorney General Jeff Sessions cited the Bible to defend the "zero tolerance" approach. It means that those entering the US irregularly are criminally prosecuted, a change to a long-standing policy of charging most of those crossing for the first time with a misdemeanour offence. 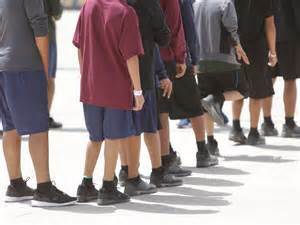 As the adults are being charged with a crime and detained, the children that travel with them are being separated and classed as unaccompanied minors.